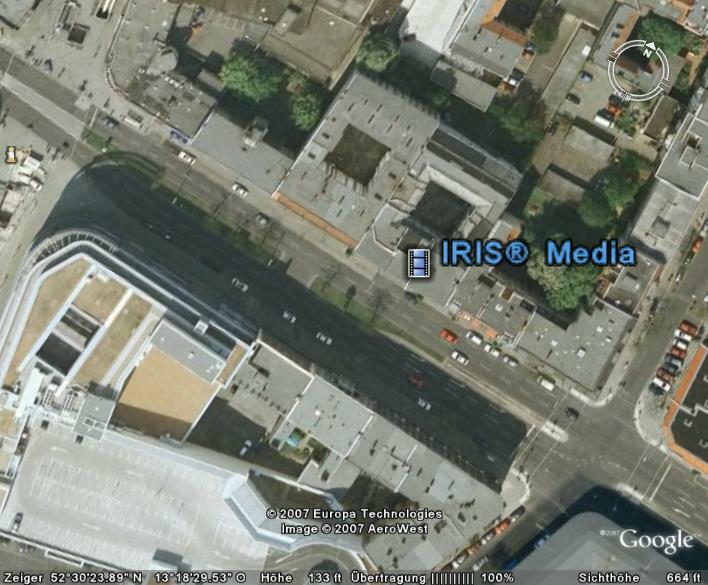 For details: Click on the IRIS® logo in this map ! The map was designed in our premises by Michael Ley. - U-Bahn # 7: Wilmersdorfer Str./Kantstr. - Bus ## X34, 309, M 49: Wilmersdorfer Str. "Although he twice failed to obtain a professorship at Königsberg, he refused to accept offers that would have taken him elsewere - including the professorship of poetry at Berlin that would have brought greater prestige. He preferred the peace and quiet of his native city in which to develop and mature his own philosophy." "Berlin ist eine Reise wert!" "Schaut auf diese Stadt..." with one of the regional public broadcasters "rbb" Web-Cam  looking into the center of the city: and of our office. 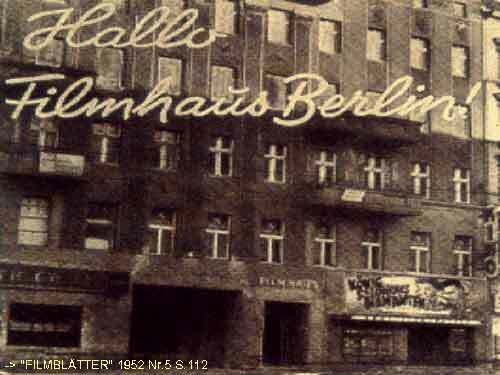 *) Up there, where is says "KANT-HOTEL", since the start of the movie-theatre in 1905 all the nitro-film-material had to be stored. 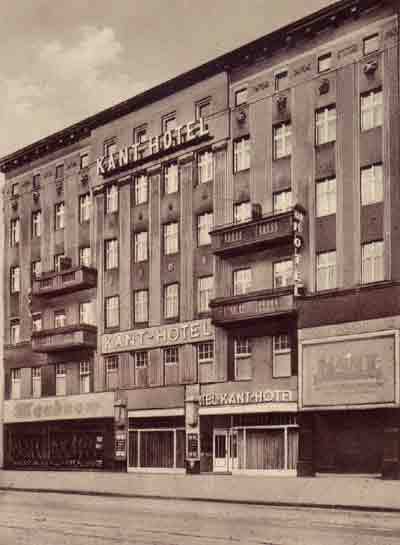 In 1999 the IRIS® Office was built there. Der Gesamtverlauf der Linie U2 ist HIER als PDF abzurufen. Due to widespread web-dementia this URL has become a dead link. We are looking for a similar ressource. Please contact us if you know a replacement.